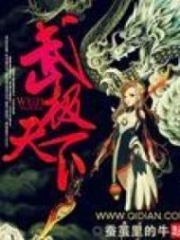 You’re reading novel The Demonic King Chases His Wife: The Rebellious Good-for-Nothing Miss Chapter 349-350 online at LightNovelFree.com. Please use the follow button to get notification about the latest chapter next time when you visit LightNovelFree.com. Use F11 button to read novel in full-screen(PC only). Drop by anytime you want to read free – fast – latest novel. It’s great if you could leave a comment, share your opinion about the new chapters, new novel with others on the internet. We’ll do our best to bring you the finest, latest novel everyday. Enjoy! Having no other alternative, Su Luo could only bite the bullet and follow by his side, enduring the crowd’s stares. Subsequently, Beichen Ying, Anye Ming and Lan Xuan, every single one of them appeared, self-confident, unafraid and without regard for others. Each and every one of their entrance gave the crowd an intense and awe-inspiring visual impression. Each of them were arrogant sons of heaven, with large clans supporting behind each of them. Their statuses were exceedingly high and precious, such that should they have a mishap, very likely, the entire continent would be thrown in turmoil. The instant he saw Su Luo, the face of a person among the crowd immediately blackened. The Crown Prince’s pair of eyes were malicious. His complexion became gloomy enough that water could drip out from it. Earlier, there were already rumors of Nangong Liuyun and Su Luo having an affair, initially, he did not believe it. Because Nangong Liuyun was what kind of exalted person, how could he fancy a good-for-nothing like Su Luo? Only, he could never have imagined, that a girl he did not want to marry and personally broke off the engagement with, would in the blink of an eye, hook up with Nangong Liuyun. This was simply a slap to his face! Su Luo dismissively cast him a glance . Oh? The Crown Prince? How could she b.u.mp into him? Really unlucky. Without waiting for Su Luo to reply, Beichen Ying who was on the side, had already jumped out. With matters that could make it difficult for the Crown Prince, he was always the first in line. Beichen Ying, this child’s words, were just that adorably honest. A single sentence had already made the Crown Prince choke until his face was as black as the bottom of a pot. The Crown Prince’s face grew livid! Did this little brat know how to speak properly?! Why did every sentence seem to be dipped in venom, simply could poison people to death. Su Luo somewhat speechlessly rolled her eyes at this Crown Prince(2). Was this person sick? Did she have any relation to him? He really thought himself to be so desirable? Su Luo appeared not to have heard him. She turned her head towards another direction, admiring the scenery in the distance with great interest. Who knew that this move of hers would offend the Crown Prince completely. One could see him stomping quickly towards Su Luo, his long arm reaching out to pull her away with a tug. However, before he could even get close to Su Luo, suddenly, the tip of a sword flew towards his arms. The Crown Prince jumped back in fright. If he had insisted on going to pull Su Luo, then this arm would certainly be gone. This line of his, simply designated Su Luo as part of his own belongings. No matter how good Su Luo’s temperament was, she was still infuriated by him. Not to mention, Su Luo’s temper had never been good to begin with. Nangong Liujue simply could not have imagined, originally that meek-like-a-kitten Su Luo, who had strived very hard again and again only to obtain one glance from him, would now use this kind of mocking tone and taunting manner to speak with him. Saying this, Nangong Liujue was about to go pull Su Luo again. Originally, he really didn’t have any interest in Su Luo, but after hearing that this loathsome girl had unexpectedly and quietly cultivated to the third rank, she was so gifted that it simply shocked people. Even more, she was someone Nangong Liuyun fancied. From childhood to adulthood, he and Nangong Liuyun had always been irreconcilable. Things that Nangong Liuyun wanted, he must grab it back. Even if he couldn’t s.n.a.t.c.h it back, he must also destroy it. Nangong Liuyun’s sword-like eyebrows knitted slightly, he faintly swept Nangong Liujue a glance. This glance appeared to be light as a cloud or gentle as a breeze, but was overcast with a b.l.o.o.d.y ruthlessness that threatened to vent its anger violently. This gave Nangong Liujue a severe cold feeling, the temperature was like being in an icehouse. Beichen Ying had always been merciless towards the Crown Prince, never giving him face. Nangong Liujue’s complexion was ashen, he had choked back a breath and was just about to curse out loud, when Lan Xuan stole his thunder to get there first. Nangong Liujue, a high and mighty crown prince, as a respected elder, was reprimanded like a little brother would be. He was infuriated to the point of snarling in rage at them. These three people, each and every one of their background was not small. When speaking, each of them was fiercer and more poisonous than the other. They simply overwhelmed the Crown Prince, who was too weary to cope. Those three people, he could not afford to offend, but Su Luo was merely a tiny ant that he could pinch into a sphere or roll flat between his fingers. “Su Luo!” The Crown Prince was ridiculed again, and was simply put in an awkward situation, unable to get out. Originally, he still believed that Su Luo would at least give him some face. He still thought that Su Luo at least cared about him from her old affections. Back then, as long as he gave her one glance, she would almost start to fly…didn’t expect, never expected! 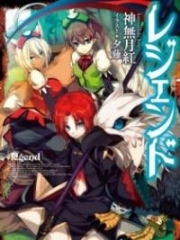 You're reading novel The Demonic King Chases His Wife: The Rebellious Good-for-Nothing Miss Chapter 349-350 online at LightNovelFree.com. You can use the follow function to bookmark your favorite novel ( Only for registered users ). If you find any errors ( broken links, can't load photos, etc.. ), Please let us know so we can fix it as soon as possible. And when you start a conversation or debate about a certain topic with other people, please do not offend them just because you don't like their opinions. 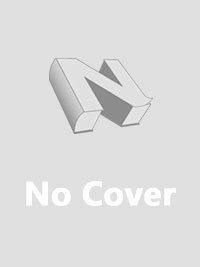 You're reading The Demonic King Chases His Wife: The Rebellious Good-for-Nothing Miss Chapter 349-350. This novel has been translated by Updating. Author: Su Xiao Nuan,苏小暖 already has 13892 views. Current Time is Apr-21-2019 02:44:53 AM.